Don't believe the marketing tease. 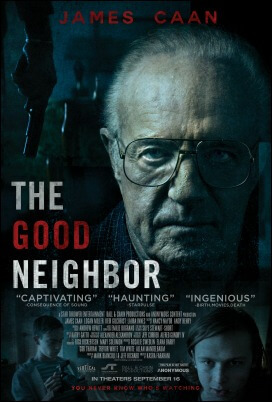 "The Good Neighbor" isn't another "Don't Breathe." The latter jolted audiences by transforming a blind war veteran into a fighting machine. James Caan’s character in “The Good Neighbor” is different. 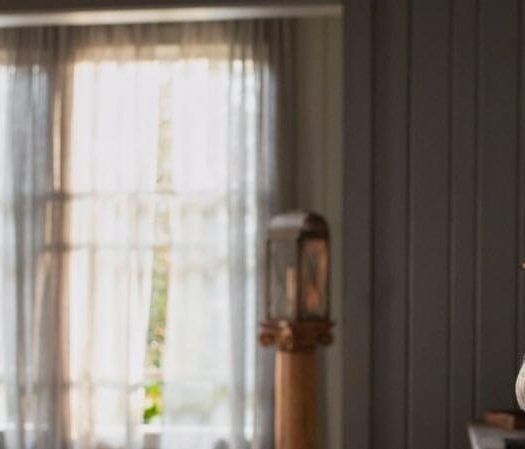 Sure, he’s an ornery retiree, but Caan’s character carries both a mystery and melancholy that threatens to turn “Neighbor” into something consequential. Not all threats pan out. Just ask any weather forecaster. “The Good Neighbor” casts the “Godfather” veteran as Grainey, a senior who doesn’t realize he has a pair of powerful enemies. Teens Sean (Keir Gilchrist) and Ethan (Logan Miller) pick Grainey as their extra-curricular project. They load up his home with hidden cameras so they can spy on him 24/7. They rig his home with gadgets to make doors open and close by themselves. Radios now can click on and off at their command. They want to make Grainey think his house is haunted. Why? The teens are bored. They’re fascinated with voyeurism much like the rest of today’s youth. Oh, and there’s a grudge simmering, too, but it almost seems beyond the point. And Grainey, they insist, deserves every ounce of this cyber stalking. The film’s first half runs with those themes. It helps that Caan crafts Grainey as a genuine mystery. He’s a horrible human being who barks at his neighbors when their dogs pee on his property. Is that all there is? Director Kasra Farahani cuts from the creepy narrative to a courtroom where the story eventually leads. It’s a clever gambit, one that teases the ramification of the teens’ experiment. Only it demands a satisfying third act. And that never arrives. FAST FACT: James Caan’s first leading role came in the 1965 racing drama “Red Line 7000” from director Howard Hawks. “The Good Neighbor” refuses to follow the standard thriller template. That means it must deliver something else. It’s not a sturdy character study of any of the three key players. The final screen minutes don’t leave us with anything but a sense of a missed opportunity. Even the toxic bond between the teens isn’t fully examined. The tease that an old timer will be riled by serial hauntings. We won’t share exactly how Grainey responds, but it’s a fat ol’ red herring in a movie that can’t support that kind of story element. Both Gilchrist and Miller convey today’s youth in ways that are far from flattering. Flush with unearned resources, unchecked egos and too much leisure time, they’re ticking time bombs. If Grainey never existed they’d likely trip over a number of other self-inflicted woes. Society simply doesn’t grasp their genius, they fear. What’s the takeaway from this frustrating “Neighbor?” Beyond “boys need a hobby,” that is? Don’t promise something profound without having the goods to back it up. HiT or Miss: “The Good Neighbor” teems with meaty subplots, but the main storyline ends with a dispiriting whimper.